Chickpeas have exploded in popularity, and it’s easy to see why. They’re the essential ingredient in beloved foods like hummus, falafel, roasted chickpeas and vegetarian curries. Meanwhile, global demand for plant-based foods is on the rise. 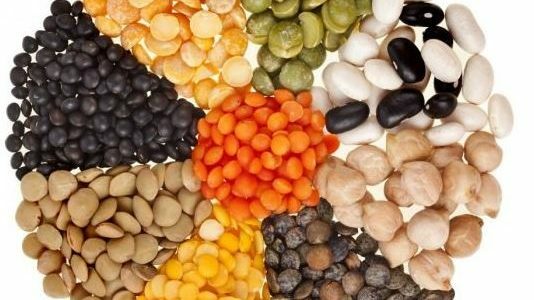 And as people try to find ways to eat less meat, they’re seeking out plant-based proteins that are all natural, nutrient-dense and gluten-free. The mighty chickpea checks all three of those boxes. We know you probably have some pressing questions (Is hummus good for me, and will chickpeas give me gas?). Since I wrote a book about pulses, the umbrella term for beans, lentils, dry peas and chickpeas, I know what’s good when it comes to garbanzos. 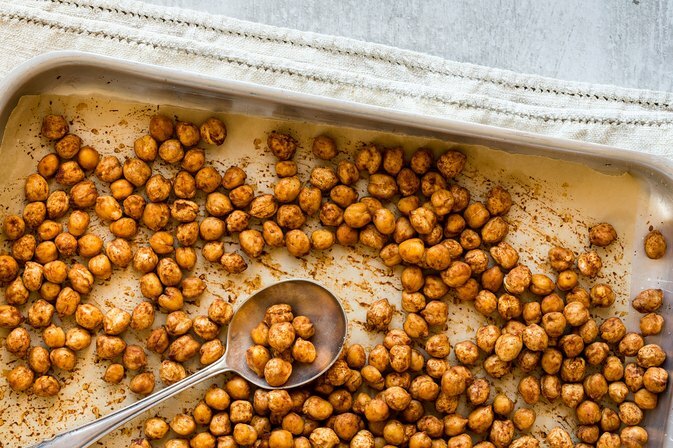 Read on to find out everything there is to know about chickpeas and ways to add some simple, healthy chickpea recipes to your arsenal. Chickpeas are a type of pulse, a unique category within the legume family that are low in fat and high in protein and fiber. Chickpeas are actually the most widely consumed pulse in the world. 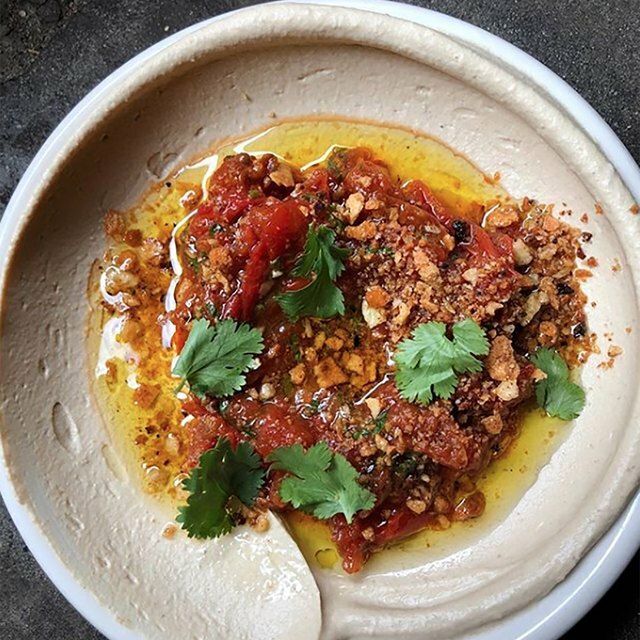 They’re now grown in more than 50 countries, but were originally cultivated in the Middle East and Mediterranean (which is why many people associate them with hummus). There are so many delicious ways to enjoy chickpeas. 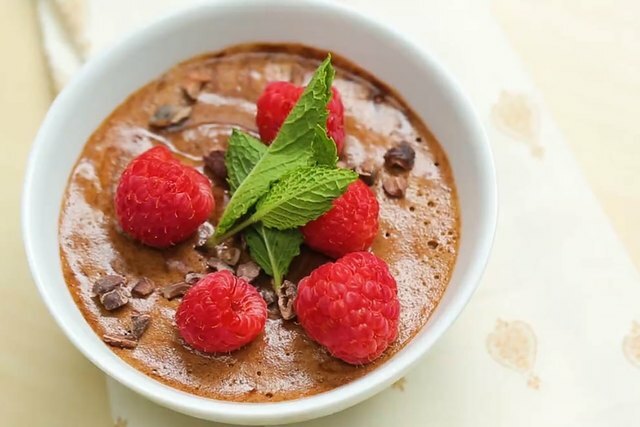 Chickpea flour can be used in baking or blended into smoothies. Whole chickpeas can be oven-roasted and enjoyed as a snack or added to salads, and they’re the base for Indian chana masala. Pureed chickpeas can be used to thicken soups or sauces. Meanwhile, mashed chickpeas can serve as an egg replacement in a veggie breakfast scramble, or form the base of plant-based chickpea patties. One cup of canned, drained, rinsed chickpeas provides 10 grams of protein. That’s a decent amount, but it’s worth noting that this portion also supplies 34 grams of carbohydrate, with about 10 grams from dietary fiber. When relying on chickpeas as a protein source, keep the carbs in mind. If you’re pairing them with another carb-rich food, such as quinoa, sweet potato or fruit, watch the portions to prevent carb overload. In addition to their protein, carb and fiber content, a cup of chickpeas provides 210 caloriesand less than four grams of fat. But when it comes to chickpeas’ nutrition, they’re a true powerhouse food. Chickpeas are also chock-full of antioxidants. While the most common type consumed in the U.S., known as kabuli, are cream-colored, there are multiple types and hues of chickpeas. Smaller and darker desi chickpeas pack a greater antioxidant punch. You’ll find them in Indian markets or specialty-food stores. 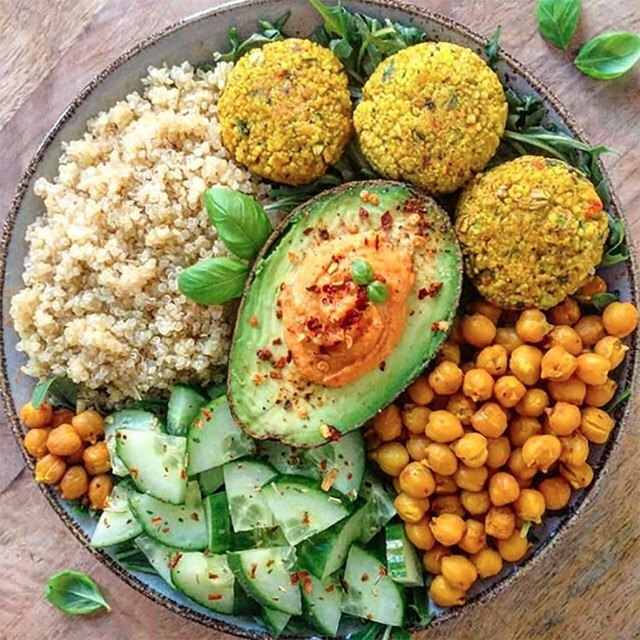 The participants’ food diaries revealed that they ate less from every food group, particularly grains, during the three-month chickpea intervention. They also reported feeling more satisfied during the chickpea experiment. And in the four weeks after the study ended, their intake of processed snacks spiked. Buying canned chickpeas is A-OK, but if you want to buy them dried and cook them yourself, it’s easy. For a quick soak use three cups of cold water for each cup of chickpeas, boil for two minutes, remove from heat, cover and let stand for one hour, then drain. After soaking, combine three cups water for every cup of chickpeas, bring to a quick boil, and then simmer for one-and-a-half to two hours. 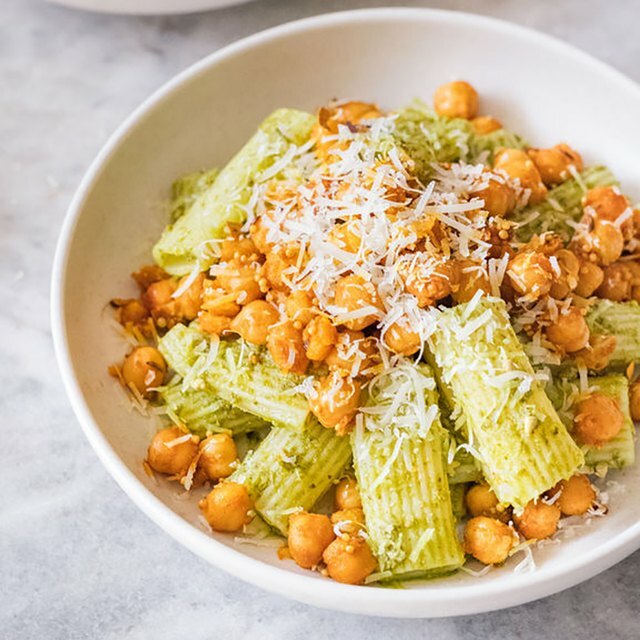 The main benefits of chickpea pasta are that it’s gluten-free and generally higher in protein, fiber and nutrients as compared to its traditional counterpart. The terms garbanzo beans and chickpeas are used interchangeably. Garbanzo, the Spanish word for chickpea, is thought to originally come from the Basque word for chickpea, “garbantzu,” meaning dry seed. In addition to being affordable and readily available, chickpeas are also extremely versatile to cook with. 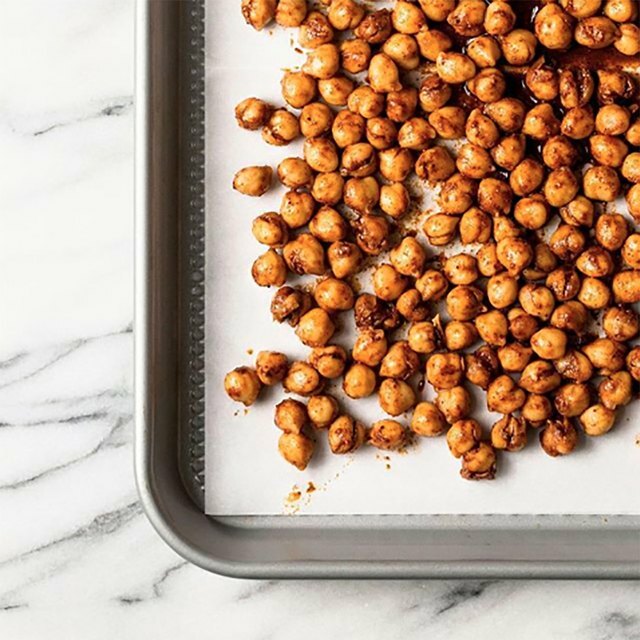 If you’re new to chickpeas, try this easy recipe for oven-roasting them. As you get more experienced, test out different types of seasonings to vary the flavors. You can make savory versions or sweet, such as cinnamon or cocoa-ginger chickpeas. For DIY hummus that’s as beautiful as it is delicious, whip up this beet-based hummus recipe. Or if you’re more into a smoky hummus with a sizzling kick, try this chipotle version. You’ll almost never find our kitchens without a can or two of black beans stocked in the pantry. This versatile ingredient can be used in so many different ways. From soups and chilis to enchiladas and salads, the possibilities are seemingly endless. We chose our 20 favorite black bean recipes to get you started with something new. Hot smoked salmon is a salty, meaty counterpart to earthy black beans. This is a salad that can be tossed together in minutes and is equally satisfying for dinner as it is for lunch. These lightened-up enchiladas are ones you can feel good about serving your family. They’re filled with black beans and roasted veggies and topped with a creamy cilantro-lime yogurt sauce. Dinner in 10 minutes sounds like just the kind of thing we can get behind on a busy weeknight. These rely on canned beans and a few store-bought condiments to come together fast. To make this soup the right way, use dried black beans and let them soak overnight. You’ll also want to give it ample time to cook on the stove so, really, it makes a better weekend recipe. Finally, don’t skimp on the vinegar — it’s what gives the soup that little extra kick. Start with pre-cut butternut squash to make these veggie-filled enchiladas much faster and easier to bring to the dinner table. You can also swap in store-bought enchilada sauce if you’d rather not bother with making your own. A couple of cans of black beans add protein to this sheet pan full of ooey, gooey nachos. Top everything with a couple dollops of Greek yogurt and you can feel good about eating chips for dinner. Slow cooker enchiladas are a bit magical. They might not be the prettiest meal on the block, but they are one of the tastiest. Plus, they are easily adaptable, so you can basically clean out your fridge and end up with a mouth-watering meal. What really makes these veggie burgers stand out is the jazzed-up ketchup, which is sweet and smoky and dangerously addictive. It can be hard to get that rich, meaty taste in a vegetarian chili, but the addition of instant espresso powder adds a depth that most vegetarian chilis lack. Try making this version, or adding a little espresso powder to your own favorite chili recipe, to get the full effect. Smoked paprika, fire-roasted diced tomatoes, and smoked mozzarella all join forces here to create a comforting casserole that has serious depth of flavor. This hearty hash is perfect for feeding a weekend brunch crowd. Everything cooks on one sheet pan, which means you can spend time drinking mimosas with your guests instead of standing over the stove. A bit of unsweetened cocoa power lends deep, rich flavor to this meatless chili. Let it cook slowly while you’re at work and you’ll be rewarded with a comforting meal as soon as you walk through the door. Make a big batch of these Cuban-style black beans ahead of time and when morning comes all you’ll need to do is fry up a plantain and some eggs while you reheat them. These hearty burritos are a miracle meal when you discover them tucked away in the freezer for a quick lunch or dinner. They’ll keep well for up to 3 months, so it might be worth doubling the recipe if you have a large family.